Get your name and company logo onto your buyers desk. We have many ideas of how to do this like Mouse Mats, Desk Pads, Rulers, Calcuators, Post-it Notes and Pen Pots. We are the largest Calendar distributor in the U.K. 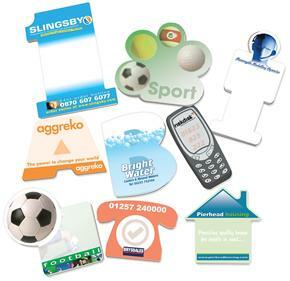 So as well as selling Calendars with your company details printed on, we also sell various promotional item. such as Clothing, Desktop items, Toys, Key rings and Clocks and Watches to name but a few. 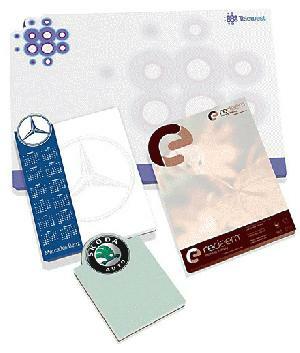 Once you have chosen the item you like best, we'll see that they all get printed with your business details and company logo. 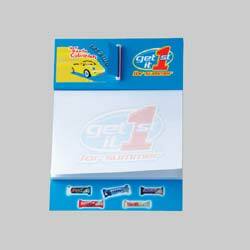 Then you can start giving away your promotional gifts to your friends and customers and start promoting and advertising your business properly. The beauty with all of our Promotional items here at Calendar Lady Promotions is that all our products come with your business details and company logo printed on. So the more of them you give away, the further your little advert will travel, further than you could possibly believe. Like a message in a bottle. 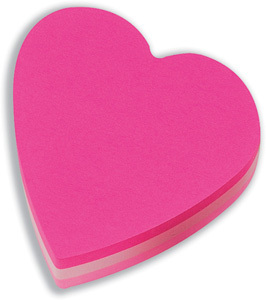 Have a look at the selection of different Shaped Note Pads that we do. Everything from mobile phones shapes, football shapes for a sports leisure centre maybe? A Telephone shape for a dial a pizza maybe? Also the range we have to offer you is much larger than this. So if you can't find what your looking for then please call Calendar Lady Promotions on 01989 780727 and we can help you over the phone. We will always answer the phone to you in person - never any machines or call centres. Click to view our range of Daily Desktop Easel Calendars. There are 1000's of different ways that we profess will help to promote your business details and company logo ten fold. The more promotional items with your printed company details and give them away to your friends, staff and customers alike. Then when they take away there promotional item, they will have your advert on and company logo or whatever message you would like it to read. Click here to view our Standard logo bug from Calendar Lady Promotions. Our Leather Desk Top Notebook from our Desktop Stationery department here at C L Promotions is ideal for your desktop or your customers Desktops. Just imagine getting 50 printed up with your business details and company logo. Then give them away to your customers, then they will always have an advert for your company sitting on their desk promoting your business. 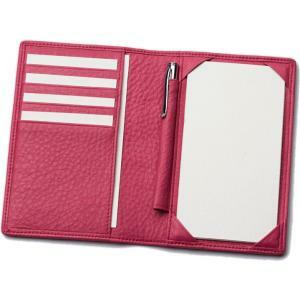 Other promotional and personalised items besides our Leather Desk Top Notebook click here. To find out more about our Leather Desk Top Notebook click here and fill in the contact form and we'll get straight back to you.